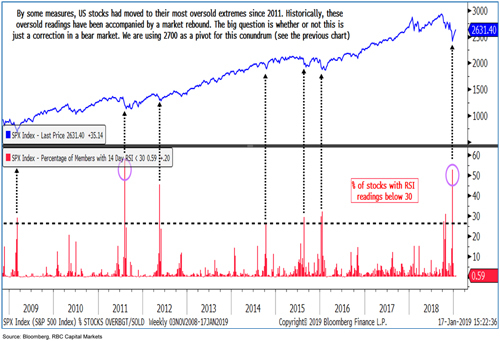 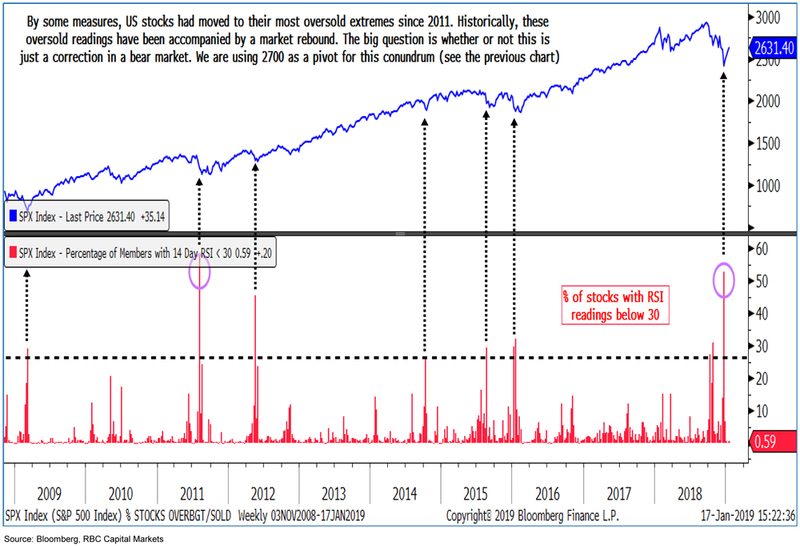 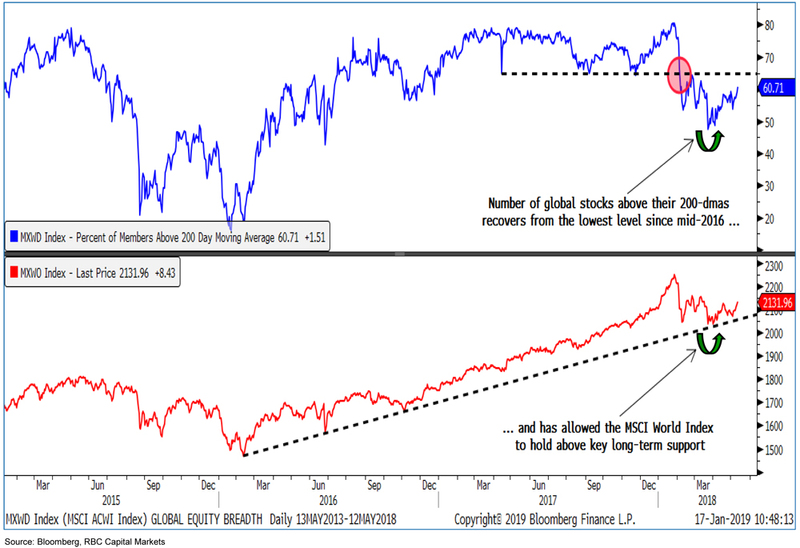 The S&P has rallied strongly since Boxing Day, rebounding from its most oversold extreme since 2011 (Chart 1), but George Davis, Chief FIC Technical Analyst at RBC Capital Markets, asks whether the rally is just a bear market correction. 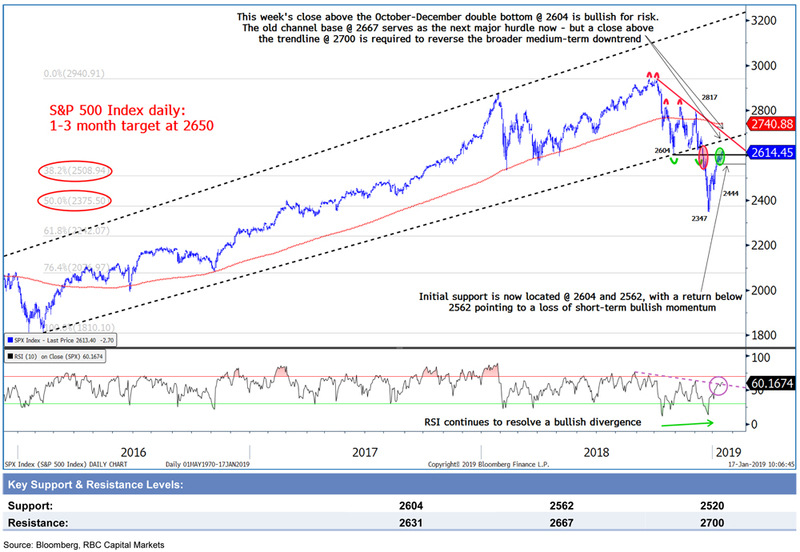 Looking at a Chart of the S&P 500, Davis says a close above the October to December double bottom at 2604 has been a bullish development. 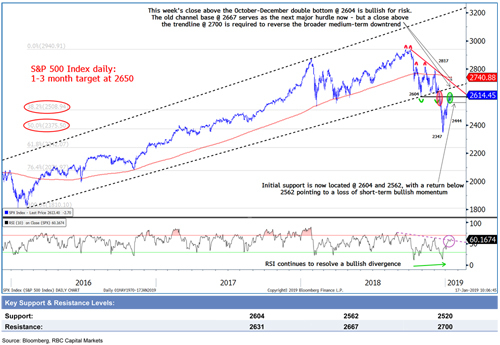 He thinks, however, a rise above the old channel base at 2667 is the next major hurdle and, more importantly, a close above the trendline at 2700 would be the acid test for whether the medium-term downtrend has been reversed (Chart 2). 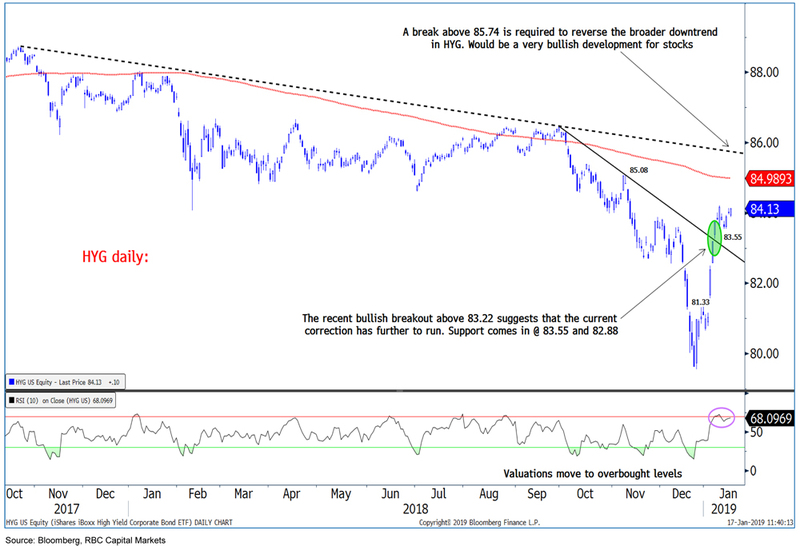 Globally, Davis points out stocks remain bullish with breadth improving just in time to prevent the MSCI World Index breaking long-term support (Chart 3). 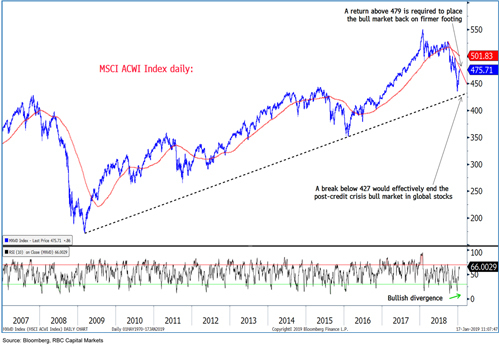 He warns, however, that 427 on the MSCI ACWI is key; a close below this level would signal the end of the post-credit crisis bull market in global stocks (Chart 4). 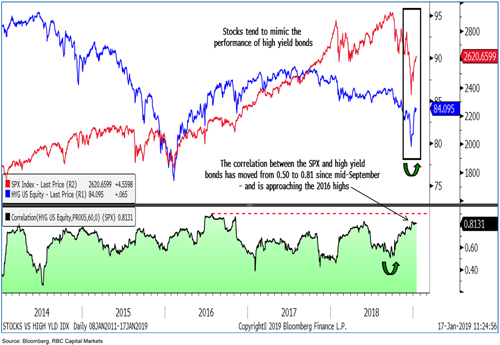 Davis is also looking at the relationship between stocks and high yield bonds. 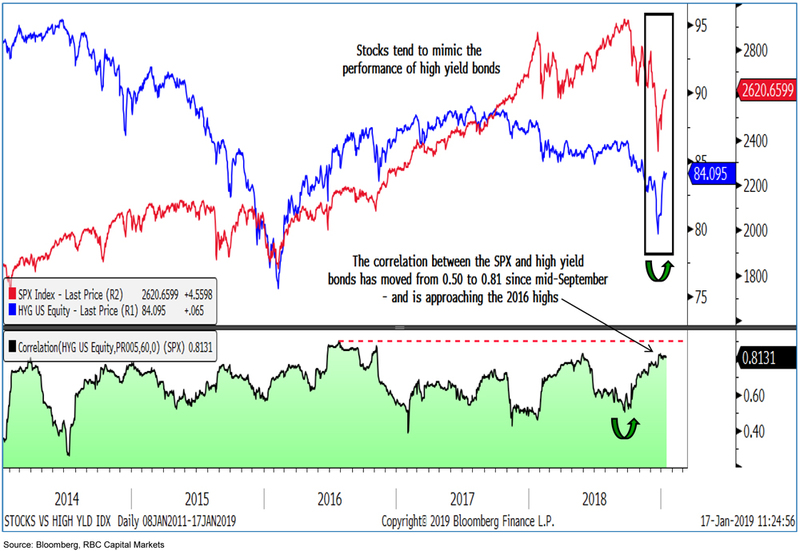 He says the recent breakout of high yield bonds – which are positively correlated with stocks (Chart 5) – suggests the current bullish move in equities has further to go (Chart 6).